A philanthropic initiative to promote young talent in the art fraternity, this biennial exhibition will showcase the work of 12 masters, 35 eminent sculptors and painters, and 38 upcoming artists. 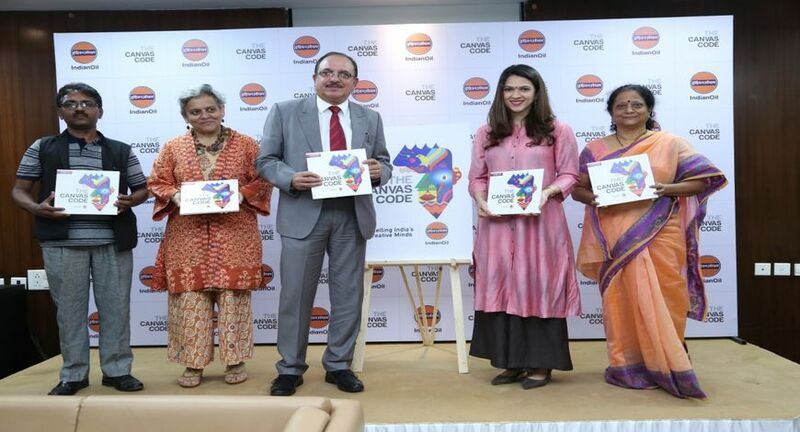 IndianOil’s biennial art exhibition has come of age, with its 22nd edition this year titled ‘The Canvas Code’. What began as an eclectic art display in 1987 at IndianOil’s head office in Bandra, has today, become a significant event on Mumbai’s art calendar. This philanthropic initiative of IndianOil is organized with a view to support and promote young budding talent in the art fraternity and provides them a prestigious platform to exhibit their work alongside established artists. A wide array of paintings by over 90 artists from across the country will be showcased at the Jehangir Art Gallery from October 24 to 29, 2018. It will also present a diverse range of artworks by artists of different age groups, styles and categories. IndianOil has also collaborated with NGO Nanhi Kali to ensure that 10 per cent of sale proceedings will be contributed to charity. The event will be formally inaugurated by internationally acclaimed artist Bose Krishnamachari at Jehangir Art Gallery on October 24,2018, where he will unveil the work of 12 masters, 35 eminent sculptor artists and painters and 38 upcoming artists. This year will include a lot of firsts for IndianOil that includes a special preview on the evening of October 23, 2018. The preview evening is an exclusive opportunity for collectors and art buyers to reserve art works before the exhibition is thrown open for public viewing. The exhibition has, for the first time, given an opportunity to specially challenged artists like Sudarshan Manse and Gaurav Dhamija. The exhibition will also feature the most promising in-house artists (IOC employees), who, despite their tough professional schedules, have passionately developed an enviable body of work. All the 35 young talents have created new works for the exhibition. The art show is being organized with assistance from senior artists Pratibha Wagh and Bapusaheb Zanze. This year’s mega show includes an eclectic mix of works telling a unique story of life’s experience. The works on display include abstract, semi-abstract paintings and sculptures in diverse media such as oil on canvas, acrylic on canvas, pen & ink, mixed media, ceramics, terracotta, sandstone, etc. Acclaimed artists such as Suhas Bahulkar, Achyut Pallav from Mumbai; Shobha Broota from New Delhi; VG Andani from Karnataka, David Prem from Vadodara, Mohammad Iqbal from Shrinagar, Pankaj Ghelot from Rajasthan, Niti Yogi from Madhya Pradesh amongst many others will be participating in the show, fortifying the unique position that the show has been claiming ever since its inception. The name ‘The Canvas Code’ stems from the fact that a canvas denotes a platform or stage that would be given to artists, irrespective of their stature or standing. Since the artists will range from masters to rising stars to beginners, the word ‘code’ has been used to denote the sense of community that they share. The code unites them for one cause – spreading the light and igniting the passion of art in the very fabric of our society where young minds are the creative catalysts of a vibrant future. IndianOil is celebrating 2018 as the ‘Year of Trust’ with ‘trust’ being the currency of creativity. Pioneering the spirit of creativity is important to IndianOil’s heritage. As an Indian energy major, this art show truly symbolizes the mindful support IndianOil extends to the Indian art-loving community. Aware of the need to be perceived not just as corporate behemoths that exist for profits, but as wholesome entities created for improving the quality of life of the communities they serve, Indian Oil supports a variety of endeavours in arts, culture, music and dance, apart from organising programmes on its own under the banners of IndianOil Art Exhibition, IndianOil Sangeet Sabha and IndianOil Kavi Sammelan.